We visited the Cotswolds on Monday to explore the villages that my family came from. 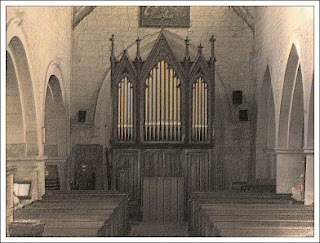 This organ was in one of the churches, Pebworth I think. I have given it a slightly different look. We are right behind you England!